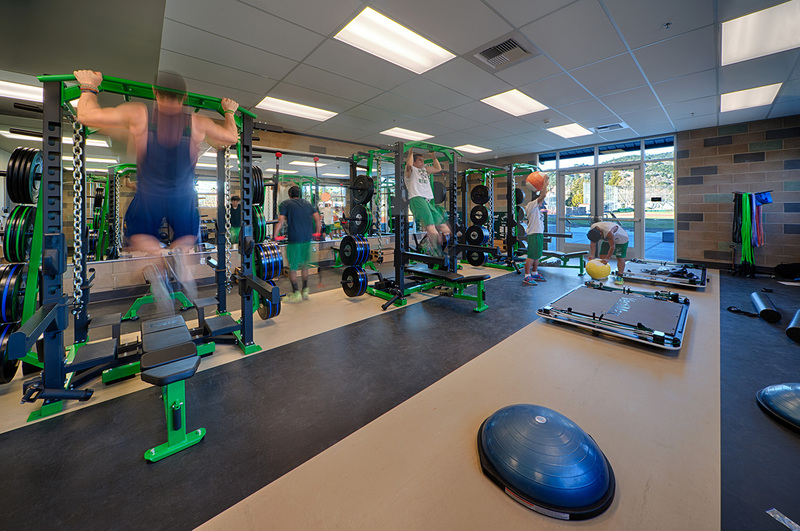 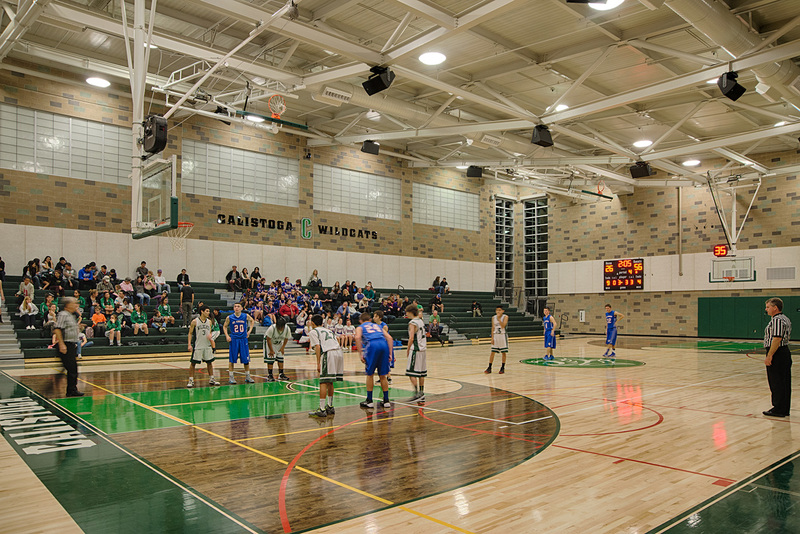 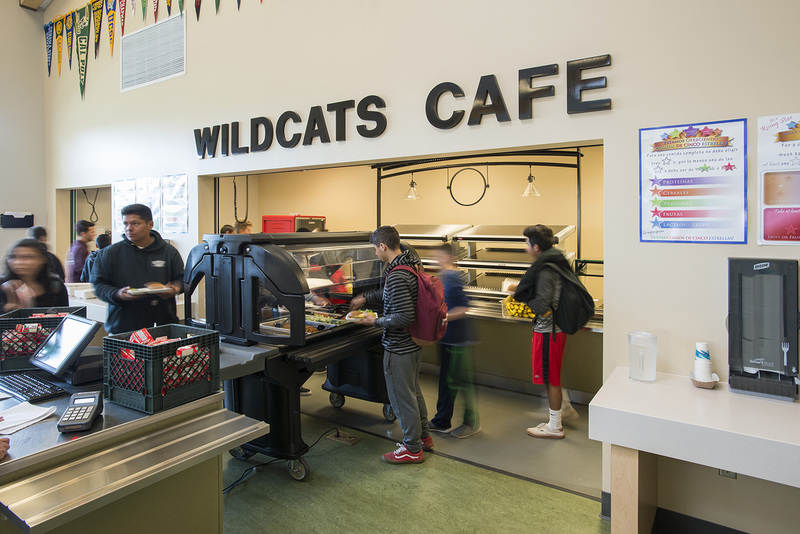 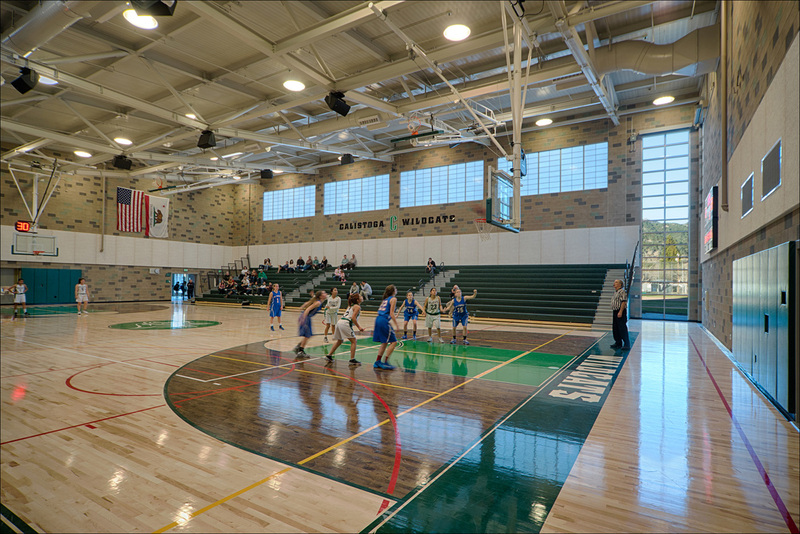 The Calistoga Community supported a local bond to build a new gymnasium, as well as a modern and flexible space for dining, performance, and student gathering. 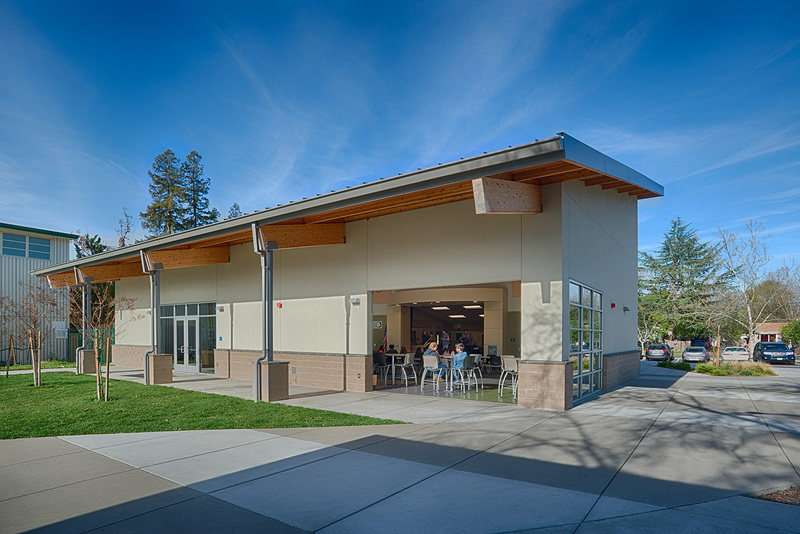 The buildings surround a student plaza, perfect for outdoor rallies, student gatherings, and community events. 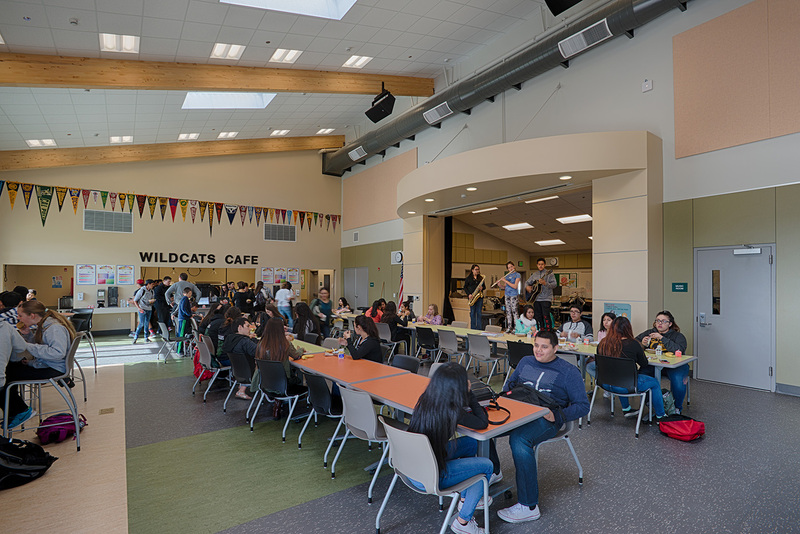 Rooftop photovoltaic panels will showcase a strong focus on energy saving design strategies (to save operational dollars) while providing an inspiring environmental message to students and the greater community. 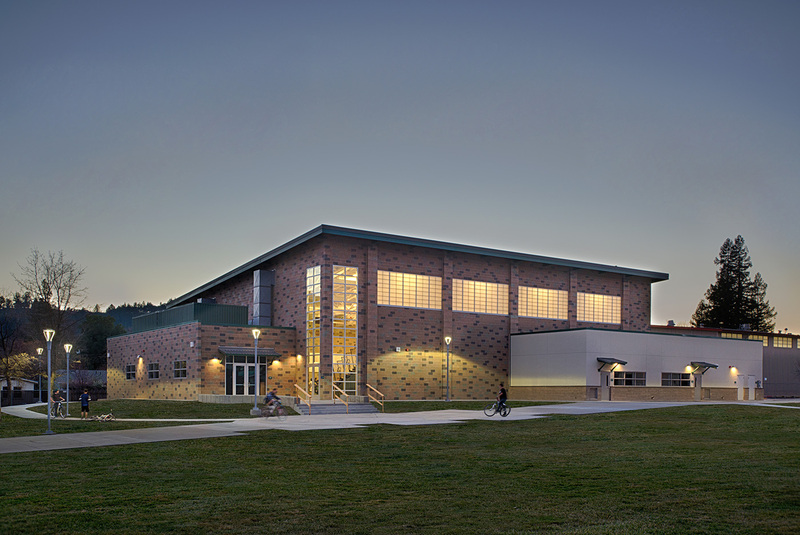 The vision for the campus was “brought to life” with a process that included a workshop with 30 students. 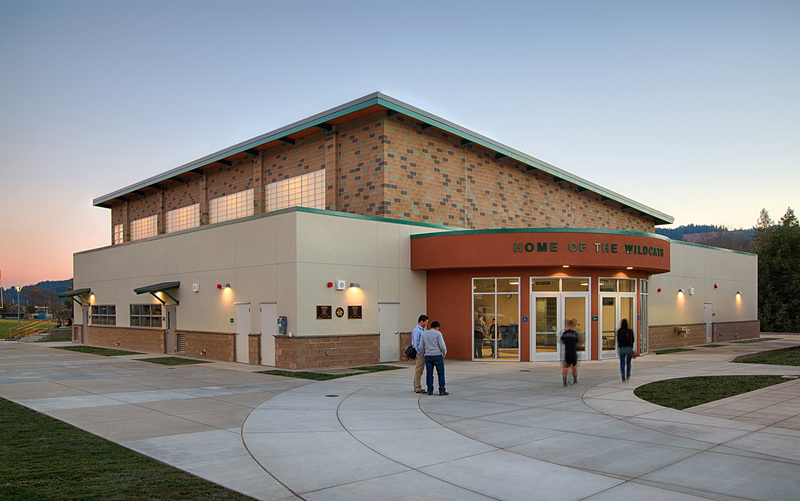 The students were engaged in exercises that included multi-voting their design preferences as well as discussion regarding the design elements that were most important to them. 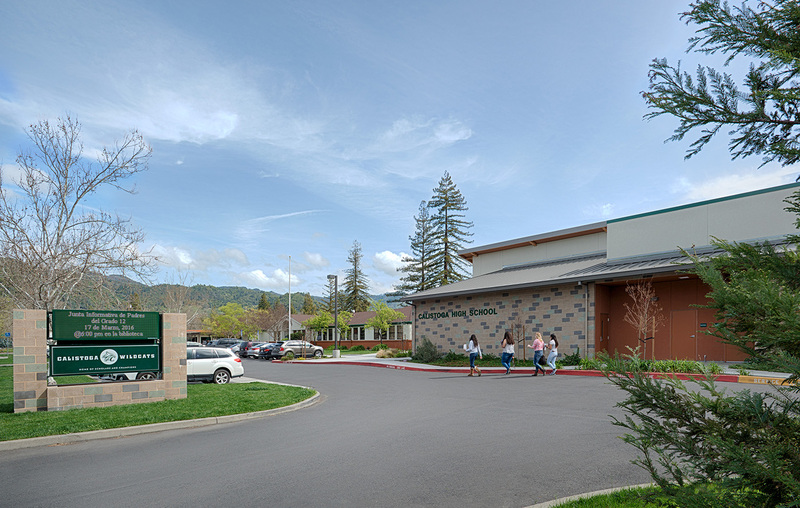 Not surprisingly, the students that were raised in this rich agricultural area emphasized “green” (the school color) and “green” (environmentally friendly) in their goals for the campus.